*Unlimited participants at one location. Recording of webinar will also be available after the event. Clinical Documentation Improvement (CDI) is the process of improving patient records to ensure optimal patient outcomes, contribute to data quality metrics, and drive accurate reimbursement. CDI has been utilized in hospitals for years, and while it is not new to home health and hospice, it must be formalized in to a program which may be used to support improved patient outcomes and data quality. States with Value-Based Purchasing programs have learned that measures improve with a concentration on CDI, and with the Patient Driven Groupings Model (PDGM) in 2020, this will become even more important for agencies. This webinar, facilitated by Joan Usher, BS, RHIA, HCDS-D, ACE, AHIMA Approved ICD-10-CM Trainer, President & CEO, JLU Health Record Systems, is targeted to administrators, compliance officers, billing and coding staff, and OASIS reviewers. 1 nursing CE is available. Cancellation Policy: If you must cancel your reservation for any reason, please notify PHA in writing via email ([email protected]). If the notice of cancellation is received PRIOR to the day of the event/workshop, PHA will provide a credit, minus a 30% administrative fee. This credit must be used within one year of the date of issue on educational programming. Credit will not be accepted for membership dues or PHA’s Annual Conference. No credit will be given for no-shows or cancellations on the DAY OF or following the event/workshop. Substitutions are permitted up to the day of the event. 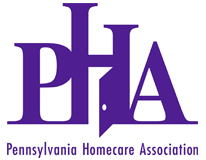 Alora helps Pennsylvania home health agencies grow their businesses by simplifying workflow management. Alora’s cloud-based, mobile-ready software covers all aspects of home health, from frontline care to back-office administration. Every facet of Alora’s user experience is designed with unsurpassed simplicity in mind. For more information, visit www.AloraHealth.com, or call us at 1-800-954-8250 for a demo.